Building a Modern Mobile Media Experience — Francois Beaufort and John Pallett review best practices for mobile web media, including playback controls, pre-loading, autoplay and offline. Stop Designing For Only 85% Of Users: Nailing Accessibility In Design — A discussion of the most common visual impairments and how you can make small changes to your visual interface and workflow to ensure the highest level of accessibility. 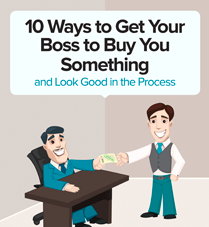 10 Ways to Get Your Boss to Buy You Something — Get your boss to buy you things... and look good in the process. A guide to advocating for products effectively. Fast By Default: Modern Loading Best Practices — Addy Osmani runs through loading best practices for diagnosing and making real-world sites load ‘instantly’. Filmed at the Chrome Dev Summit 2017. Can You Afford It? Real-World Web Performance Budgets — Concepts, tools and resources for creating a performance budget for your progressive web app. $20 Free on a new Linode account — Linux cloud hosting starting at 1GB of RAM for $5/mo. Get $20 credit on a new account. Announcing PhoneGap Push Plugin Version 2.1.0 — We’re happy to announce the release of the updated PhoneGap Push plugin which brings support for Android O and cordova-android 6.3.0. How to Make Progressive Web Apps with Ionic — Guidance on how to deploy your next Ionic app as a PWA. 11 Is The New 7: iOS Designers, Please Stop Making Us Motion Sick — A plea to use motion with caution.